WILMINGTON — Join CMH and the Wilmington-Clinton County Chamber of Commerce for an open house welcoming Robert McClure, M.D., a Radiation Oncologist, to the medical staff at Clinton Memorial Hospital from 4-6 p.m. Tuesday, April 16 at the Foster J. Boyd, MD Regional Cancer Center, 31 Farquhar Ave. There will be light refreshments available throughout, and a ribbon-cutting with the chamber at 4:30 p.m. All are welcome. Dr. McClure comes to CMH with over 20 years experience in Radiation Oncology, practicing most recently with Tennessee Oncology in Nashville, Tennessee. Dr. McClure received his Doctor of Medicine degree from the University of Cincinnati College of Medicine in Cincinnati, Ohio. 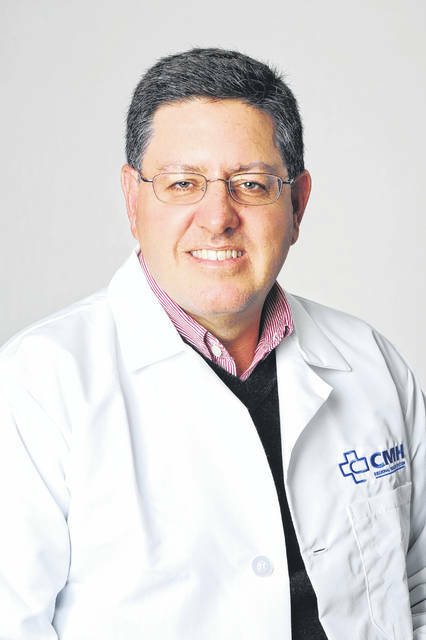 He completed an internship in Internal Medicine at The Christ Hospital and his residency in Radiation Oncology at the University of Cincinnati Hospital. He is board certified by the American Board of Radiology and is a member of the American Society for Therapeutic Radiology and Oncology. Dr. McClure is now seeing new patients at Foster J. Boyd, MD Regional Cancer Center in Wilmington. Appointments may be scheduled by calling 937-283-2273.